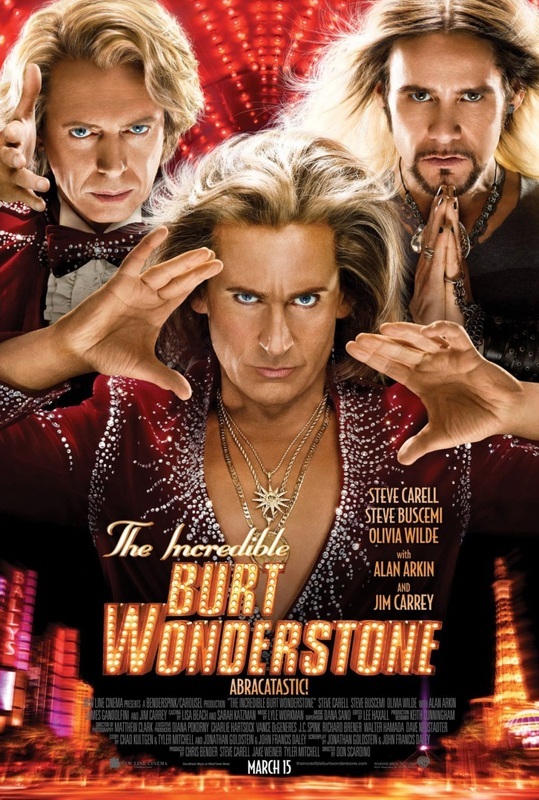 When a street magician's stunts begins to make their show look stale, superstar magicians Burt Wonderstone and Anton Marvelton look to salvage on their act - and their friendship - by staging their own daring stunt. I find this movie very hard to review. The entire movie I wasn't sure if I hated or loved some of the actors in their roles. In the end they saved it but the overall cookie cutter, standard formulaic comedy that this movie had nearly lost me at points. There were two people in this movie who I honestly believe stole the show. Olivia Wilde, who was completely under rated in her comedic ability, and Alan Arkin who I think had the funniest line in the movie "WTF is a dream reality?" in response to Jim Carrey's Chriss Angel like ramblings. Overall a decent movie. I think that this was just a standard example of something trying to be done too many times. All of the actors were very funny as always, it just seemed to get lost in the middle. Does this movie signal the return of a comedy legend in Jim Carrey? I can only hope we can resurrect the Dumb and Dumber Carrey because he has never been better.